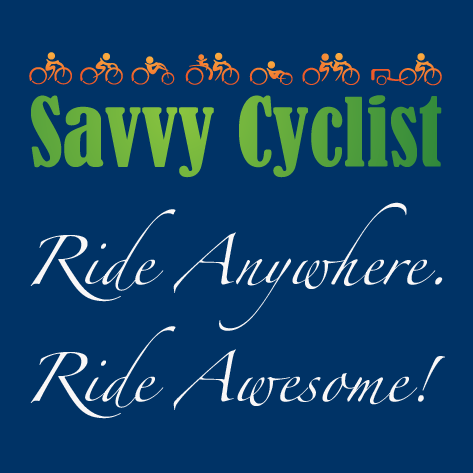 The Savvy Cyclist will inspire you to bicycle now. “This blog will keep its focus on making cycling work for you now, and not concern itself with some future cycling utopia,”wrote ABEA executive director Mighk Wilson when he introduced The Savvy Cyclist. The variety of upcoming posts is impressive. You’ll hear from a woman in Charlotte who transformed her life through CyclingSavvy. You’ll meet the transportation director of a major American city who is a CyclingSavvy Instructor. Later this month, you’ll hear from someone who rode her bike to a place accessible “only” by interstate. 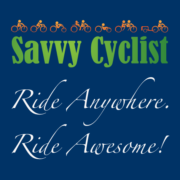 Subscribe to receive the latest Savvy Cyclist posts. As a bonus, you’ll receive “Ten Tips For Safe Bicycling,” with new content available only to subscribers.